Lindy launches new Mini Headphone Amplifier and Splitter | What Hi-Fi? 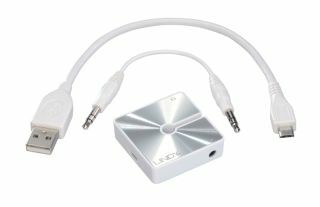 UK AV manufacturer Lindy has announced the launch of the Mini Headphone Amplifier and Splitter – a device it says has been designed with portable players including smartphones and tablets in mind. The rechargeable device comes with dual amplifiers and a built-in booster that Lindy says will deliver "extra power and depth to your audio", along with an intelligent power switch to preserve the charge. Output is amplified by 120 per cent, a feature that aims to reduce the power demands placed on your smartphone, tablet or MP3 player and can drive more powerful headphones than rival products. A second 3.5mm stereo port means you can also share your music with friends or family by plugging in another pair of headphones. An integrated cable management design makes storage easier too. Other features include a USB 2.0 Micro-B port for charging and power, with a 23m Type A to Micro-B charging cable included. It can be used with 16-150 ohms impedance earphones. In terms of its size, the Mini Headphone Amplifier and Splitter is claimed to be comparable to Apple's sixth-generation iPod nano – measuring 38 x 38 x 12.4mm. It's available to purchase now for £23.